How long is the flight from London to Mauritius? 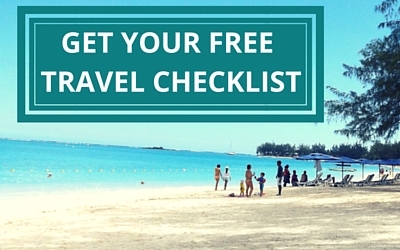 So you’ve booked your tickets to Mauritius, woohoo! The next question you may be asking is how long is the flight from London to Mauritius? Well from London Heathrow it takes on average 12 hours – that’s for a non-stop, direct flight from London to Mauritius. The first time I went to Mauritius from the UK is when I was 10 months old. I have no idea how my parents coped with a screaming baby on a 12 hour flight – I would of no way done that with my son! My son is now 6 and I still haven’t taken him out the country. If you are embarking on this 12 hour journey from London to Mauritius with young children then I’m sure you’ll be fine, just remember to stay calm and distract any little ones. If you’re travelling with friends or a partner – lucky you! You’ll have a great time watching films, chatting, eating and sleeping. If you don’t want to travel the 12 hour journey in one go then don’t book a non-stop direct flight. Instead opt for emirates airlines that fly from London to Dubai which takes 6 hours and then Dubai to Mauritius for the remaining 6 hours. Once in Dubai you can rest for as long as you want (depending on when you arrived) before catching the next plane to Mauritius. Emirates airlines fly daily from Dubai to Mauritius. You could even have a little holiday in Dubai! You don’t have to travel from London either if you live up north – there are flights from Manchester to Dubai too. The best thing to obviously do is SLEEP! Try booking a night flight – this is what Dad always does. Enjoy some in-flight entertainment and relax. However if you’re like Dad and suffer from back pain and no matter how hard you try and sleep you just can’t! Then try your best to relax, do some reading and every hour go for a little walk up and down the aircraft. If you are travelling with children remember to pack essential things in your hand luggage to keep them entertained; their favourite books, games, a spare change of clothes is a must, maybe even pack their PJs so you can encourage them to sleep and you can get some well earned rest too! I would bring wipes, a spare change of clothes for myself, a book and my laptop in my hand luggage. Just think to yourself what you need to keep you occupied for 12 hours. Remember the airlines are there to make your journey as comfortable as possible, after all you are paying a heck of a lot of money just for the flight! Don’t be afraid to ask for things like colouring books for the kids or an extra pillow or blanket to help you sleep. © 2019 Real Mauritius: Sunshine & Smiles. All Rights Reserved. Created by Veena V.